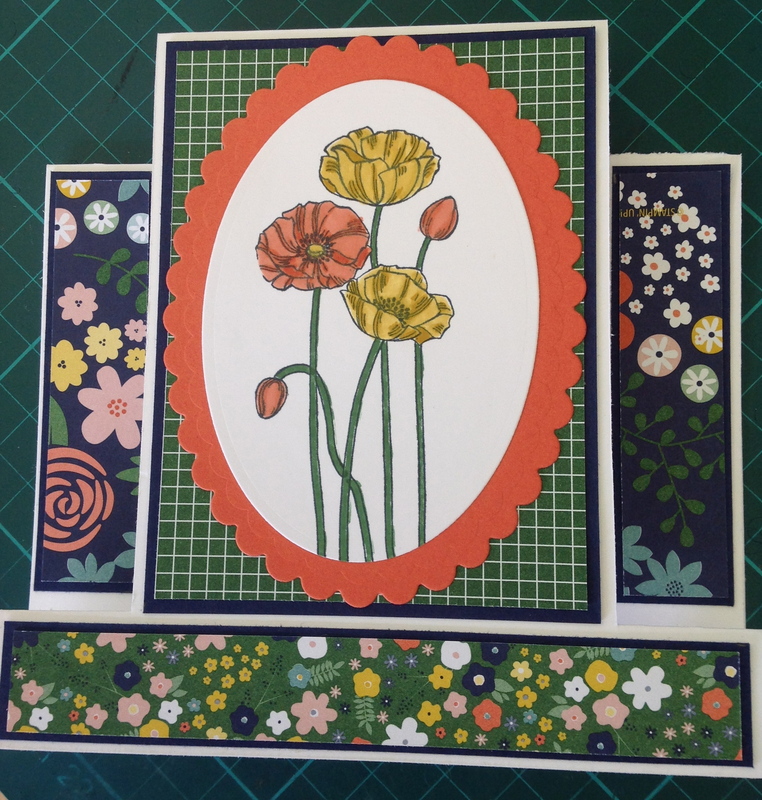 Side Step Card with Stampin’ Up! I had the opportunity to have a bit of a play in the studio. It was way over due that I gave the side step card a go. I think I may have made one some years ago, but they have made a bit of a come-back lately so I thought that I’d dive right into creating one using the DSP from Stampin’ Up! – Flower Pot. It’s divine. The colors took me right out of my comfort zone but I love the final result. I thought this was the perfect opportunity to also use my poppy background stamp. It’s amazingly beautiful to use and even lovelier to color. Poppys colored with my stmpin’ write markers of Tangerine Tango, Garden Green, Daffodil Delight. Thanks for stopping by, I’ve created some more fancy fold cards so stay tuned.